applications throughout the world. 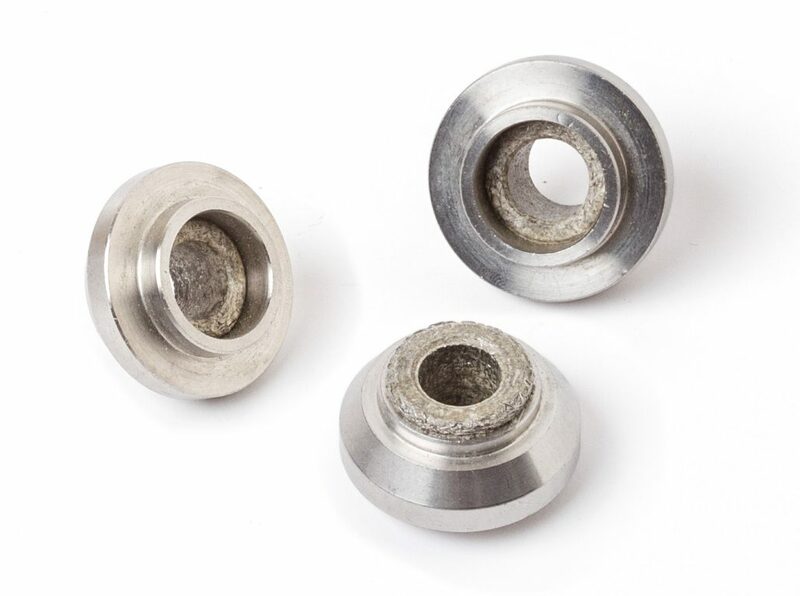 Our After-Treatment Exhaust System Mounting Components will continue to play a key role as global emissions requirements tighten. Below you will find some samples of our capabilities. Please contact us to learn more. 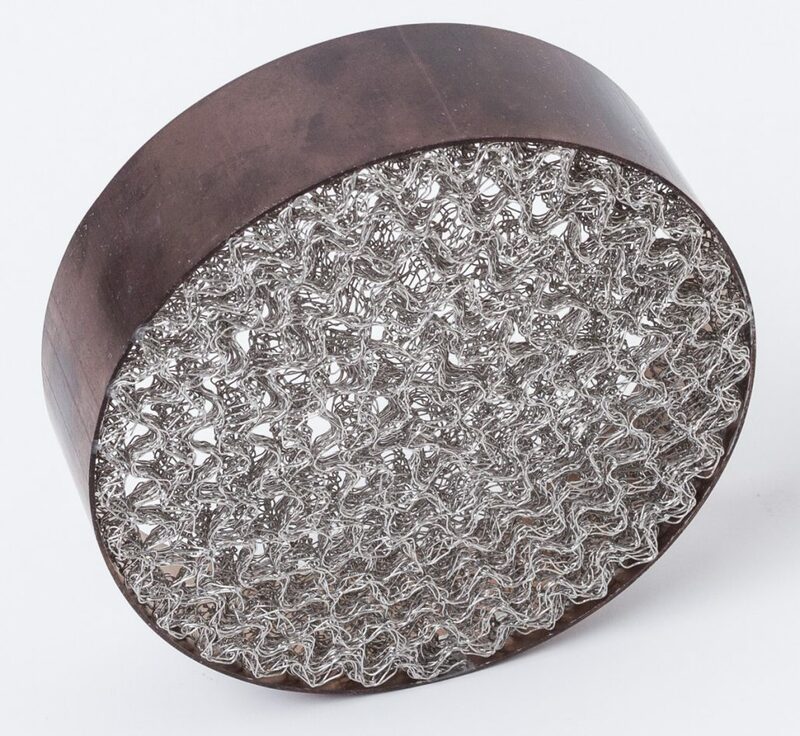 From our gas-tight, patented V-Seal technology to engineered axial support ring, these compressed knitted wire mesh elements can be tailored to meet specific gas leakage and mounting pressure requirements. 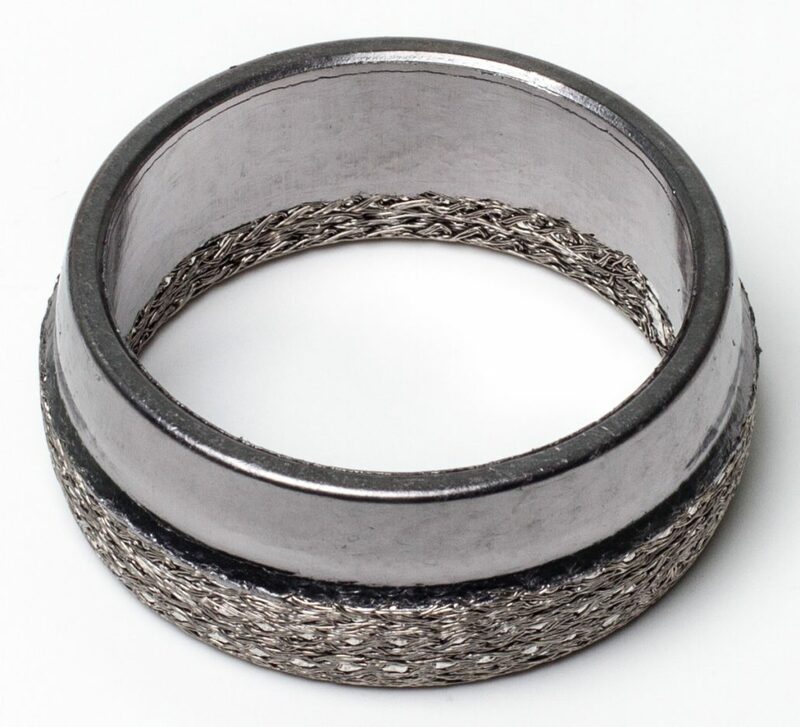 Knitted mesh can also be combined with graphite and mica for bushing solutions, effective to facilitate rotation and lubricity in turbocharger wastegates and active exhaust systems. As global emissions requirements continue to tighten, the demand for various after-treatment systems will grow. As an example, our mesh mixer (right) diffuses the flow of injected urea, enabling reduced tailpipe emissions. 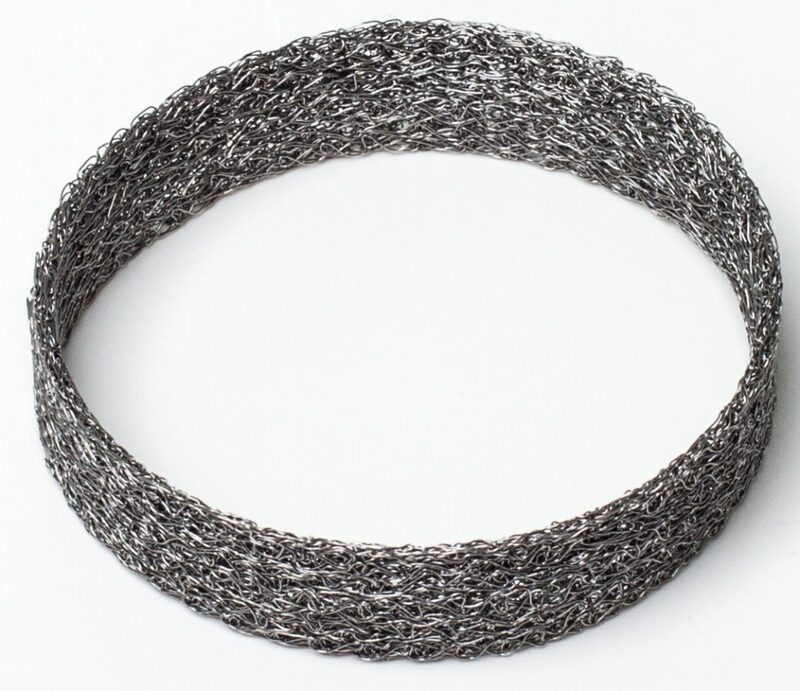 At ACS, we produce compressed, knitted wire mesh elements. These are inserted between the pipes to act as a cushion from shock and vibration, as well as to absorb any thermal expansion differences. 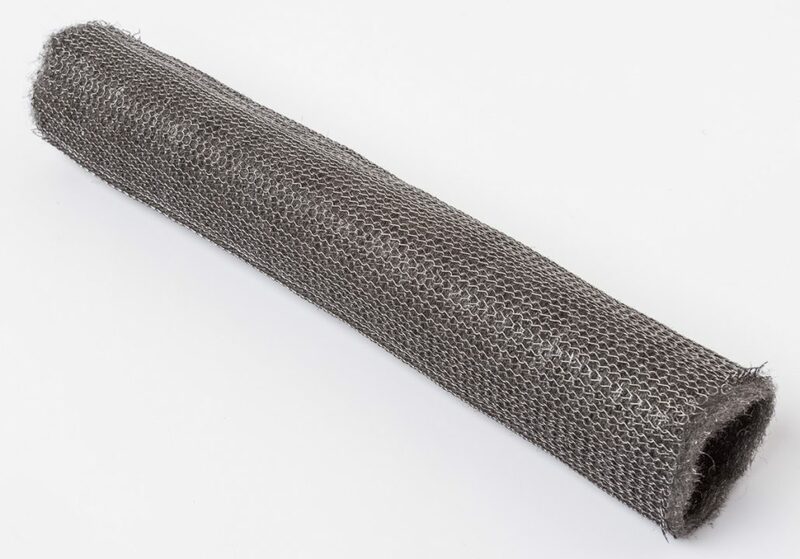 As the next step in muffler packing technology, our High-Performance Muffler Sleeves offer all of the acoustic properties of steel wool with the strength and durability of mesh.